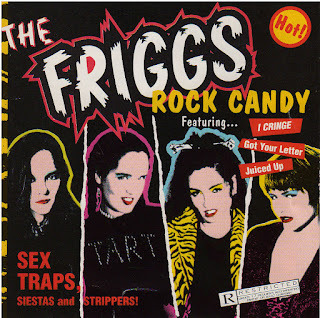 When Little Steven Van Zandt recently chose singer-guitarist Palmyra Delran’s “You’re My Brian Jones” as the “Coolest Song Of The Week” on his syndicated Underground Garage radio show, it brought back fond memories of her work with The Friggs. Rock Candy, released in 1997, was most likely Van Zandt’s introduction to the Philadelphia-based, four-woman band. It’s easy to imagine the world’s number one garage rock fan being smitten with the fuzzy guitars and revved-up 1960s girl group vocals on this debut effort. I reviewed Rock Candy when it was first released, for the Illinois Entertainer, but rather than reprint an old critique of this overlooked gem, I’ve decided to start from scratch. 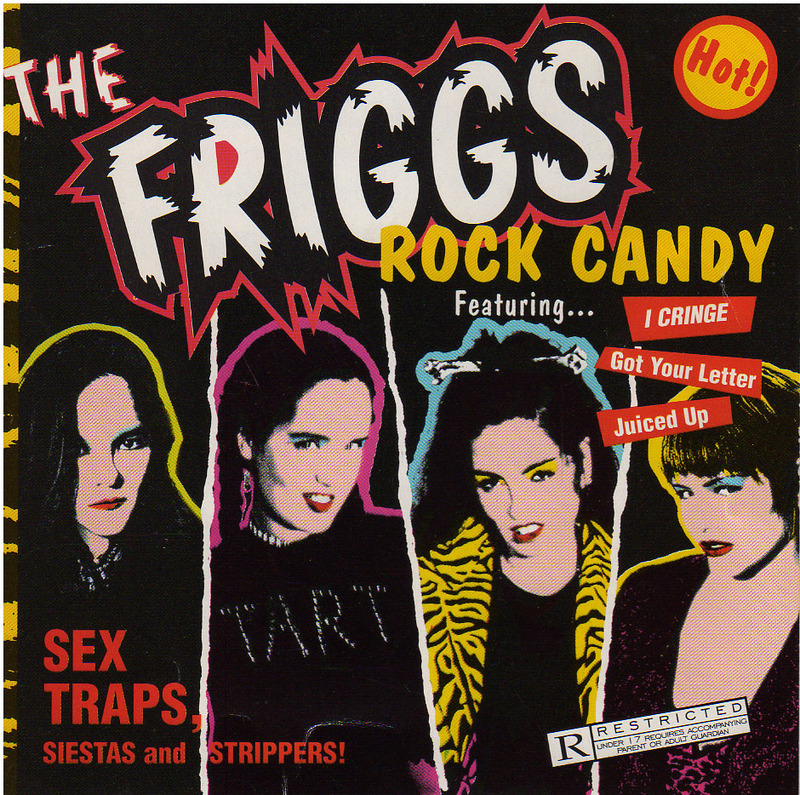 The cover of Rock Candy mimics a B-movie poster with each member of The Friggs cast as a femme fatale. Although they look like they’d gladly commit homicide, their impressive debut instead offers sharp-witted putdowns set to catchy garage rock arrangements. Vocalist Lexy Plumm, guitarist Palmyra Delran, and bassist Suki Von Trapp take turns singing lead while drummer Elle Sandoz keeps a steady beat. Like Blondie’s “Rip Her To Shreds,” the songs on Rock Candy bristle with a streetwise sense of humor.